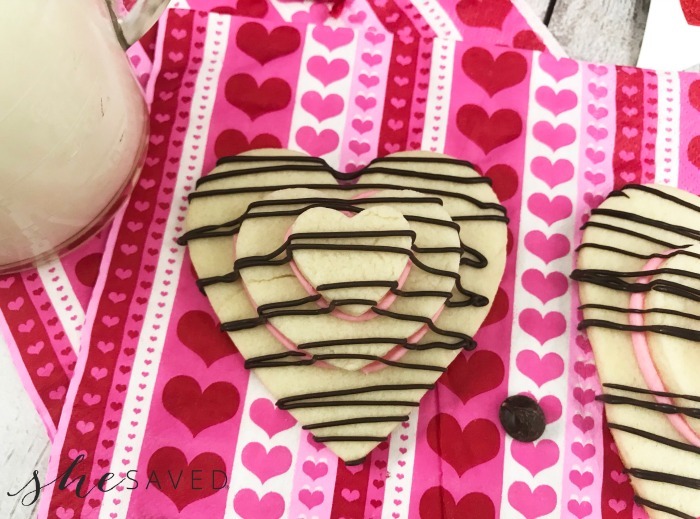 If you are planning on some fun LOVE related dessert items then this Valentine’s Day Heart Stacked Cookies recipe might be the perfect choice! 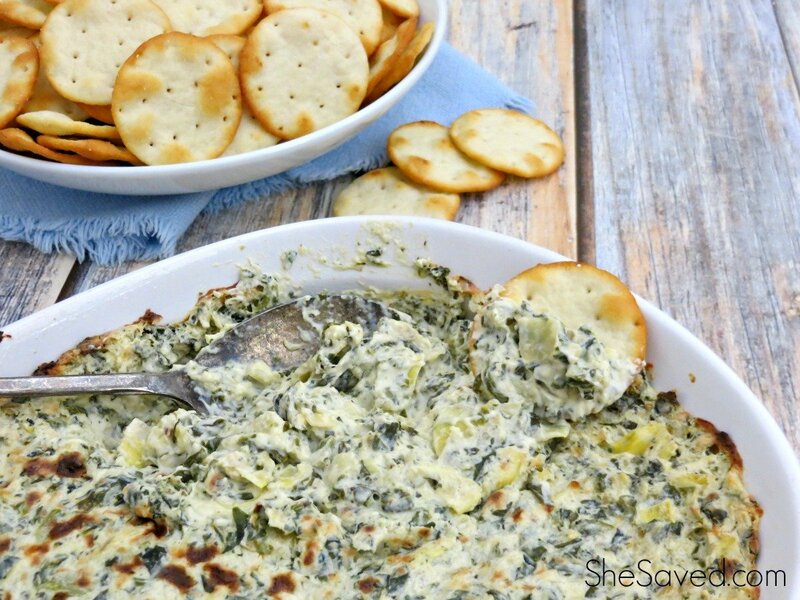 So pretty and fancy but really (really!) easy. 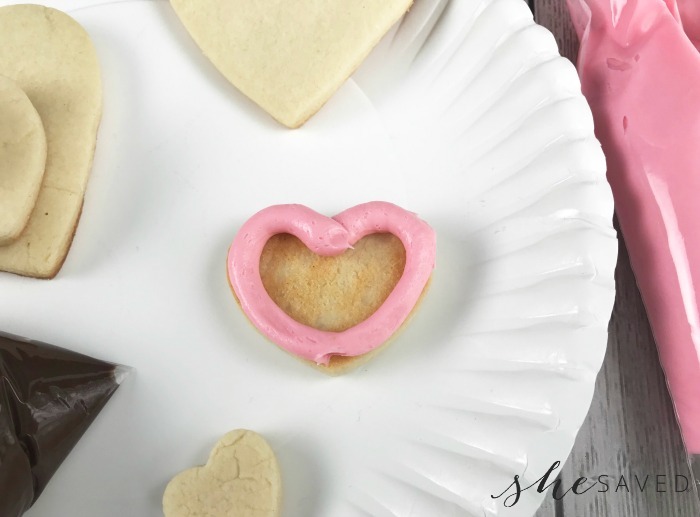 In fact, you could even use pre-made sugar cookie dough if you don’t want to make the cookies from scratch and that might be a really fun and easy way to make these cookies for a party or even for a classroom activity. 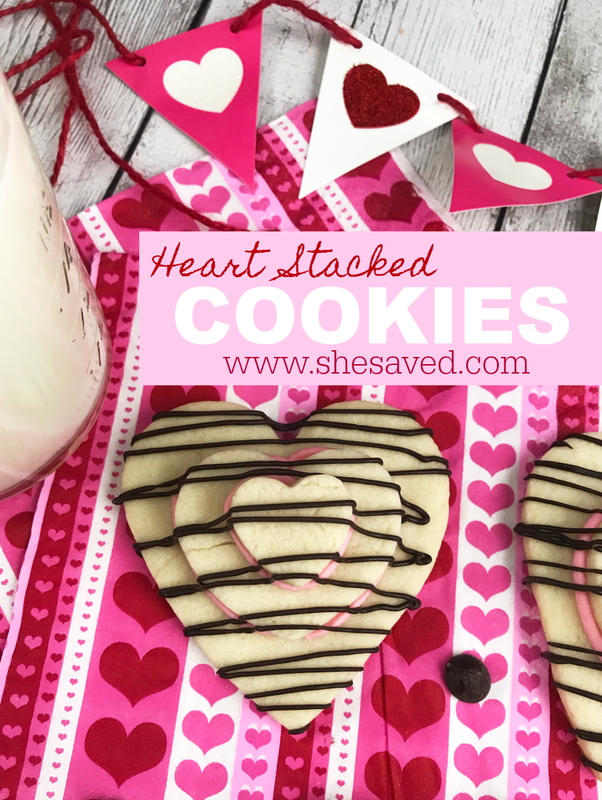 But, if you do chose to make them from scratch, this recipe will not disappoint and is one of my favorite go to recipes and it works perfectly for these heart stacked cookies. Use a rolling pin to roll the dough out onto a lightly floured surface to about 1/4″ thick. 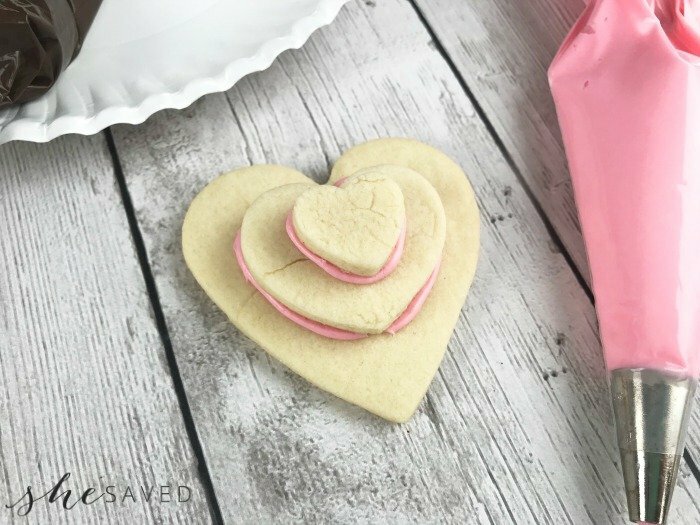 Gently frost the edges of the bottom of a medium heart shaped cookie. 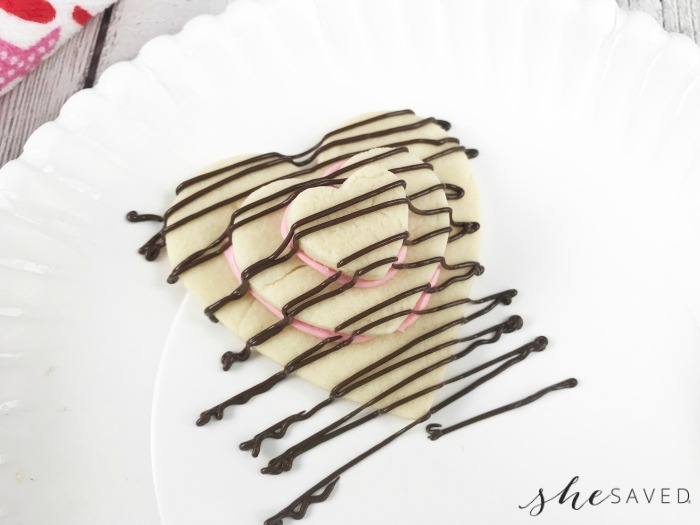 Gently place the cookie on top of the large heart cookie. 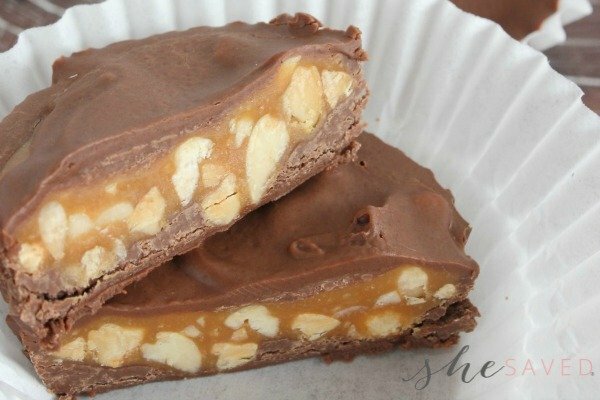 Poor the chocolate candy melts into a microwave safe dish. Repeat with all cookies and let set. 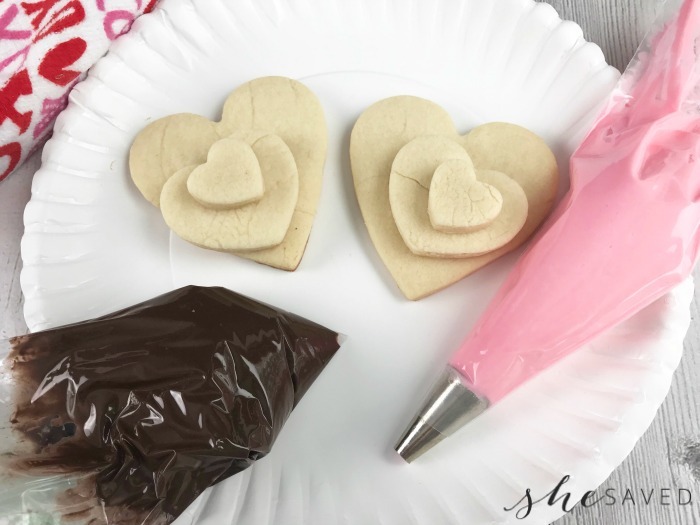 Use a rolling pin to roll the dough out onto a lightly floured surface to about 1/4" thick. « Interview with Chris Hemsworth + 12 STRONG Movie in Theaters TODAY! !